Based on the tragic true story of the ill fated May 1996 campaign when eight climbers died over two days, Everest boasts some majestic cinematography, but fundamentally fails to create sufficient human drama to properly resonate. New Zealander Rob Hall (Jason Clarke), an experienced mountain climber, has invented Everest tourism, whereby relatively inexperienced climbers are guided in large groups up to the world's highest peak. 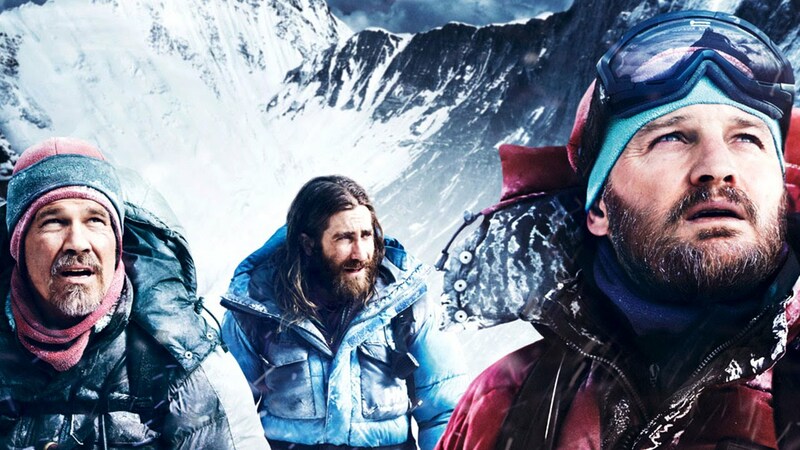 Now others are jumping on the bandwagon, including brash American expedition leader Scott Fischer (Jake Gyllenhaal), creating a logjam of guides and ill-equipped tourists all wishing to reach the summit in the narrow climbing season window. Rob leaves his pregnant wife Jan (Keira Knightley) behind for his latest assault on the mountain. 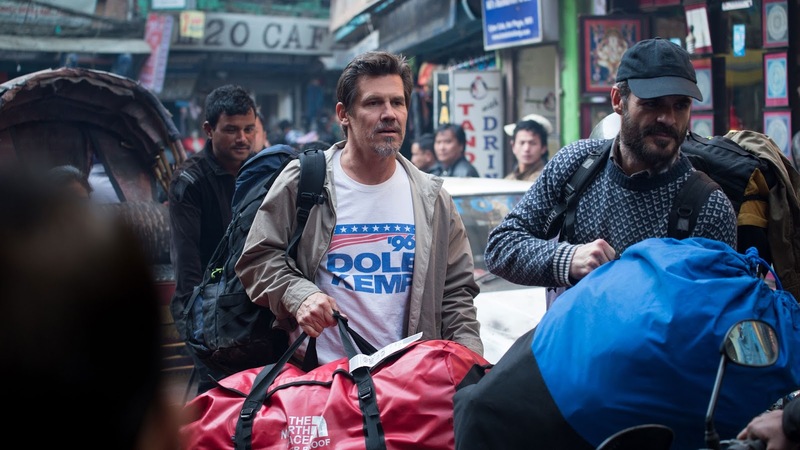 His group includes Texas doctor Beck (Josh Brolin), mailman Doug (John Hawkes), Japanese mountaineer Yasuko (Naoko Mori) and Outdoor magazine journalist Jon Krakauer (Michael Kelly). Rob's Base Camp support staff consists of logistics manager Helen (Emily Watson) and the group's doctor Caroline Mackenzie (Elizabeth Debicki). Rob and Scott create an uneasy alliance to better manage their way through the crowd of climbing groups, with Russian guide Anatoli Boukreev (Ingvar Eggert Sigurðsson) adding experience to Scott's team. May 10 is the designated day to reach the summit, but a variety of mishaps result in the climb falling dangerously behind schedule, just as a monstrous storm moves in. The events of May 10 and 11 1996 shocked the world, and placed a focus on mountain climbing tourism, sparking debates about the wisdom of treating Everest like any other item on an adventurer's bucket list. Several books were later written by survivors, including Krakauer's best-selling Into Thin Air and Boukreev's rebuttal The Climb. 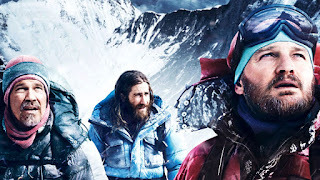 With the survivors understandably differing, sometimes bitterly, on many details of exactly what happened on those two chaotic days, the film Everest is not based on any single account. Directed by Baltasar Kormákur and co-written by William Nicholson and Simon Beaufoy, the film tries to stick to the known facts. Hall is portrayed as a well-intentioned, experienced guide faced with difficult decisions borne out of his love for expanding the appeal of mountain climbing. All the other characters are presented in a rather emotionless manner, their actions provided with the most basic motivation and left to be. This leaves Everest with plenty of people and not much drama. The battle whereby a mammoth mountain teams up with a massive blizzard to shake off small humans provides plenty of opportunity for astounding cinematography by Salvatore Totino, but is otherwise asymmetrical in the extreme. From the first majestic shots of the intimidating Everest peak and the explanations about the dead zone where the human body starts to die at high altitude, the contest is settled. Kormákur does his best to zoom in on the climbers struggling up and then down the hill, but when everyone is bundled in multiple layers of climbing gear and conversations are reduced to shouting over howling winds, it's difficult to distinguish the characters, or to develop empathy. Hall and Beck are provided with sketched-in worried-women-back-home, a loving and pregnant partner in Hall's case and a relatively angry and estranged wife for Beck. The rest of the climbers are defined in the broadest terms: Yasuko is aiming to check-off all of the world's tallest peaks; Doug is getting too old and wants one last crack at reaching the peak. Plenty of other faceless climbers trudge through the snow and die with barely an introduction. The actors do what they can, but other than Jason Clarke as Hall and Josh Brolin as Beck, the likes of Gyllenhaal, Knightley, Worthington and Wright are reduced to glorified cameos with disjointed snippets of screen time. Krakauer, meanwhile, is trying to understand the age-old question of why climbers do what they do. Of course there is no satisfying answer to that conundrum. Some humans will always seek an escape from the mundane by testing themselves against nature, no matter how many times nature tilts the elements in her favour. Everest tries for deeper meaning, but settles for the same conclusion: the people may try hard but the mountain can always choose to win.